It seems like the faster I work, the more there is to be done! 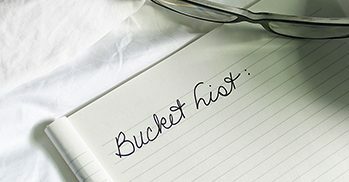 I like to be organized (hence MyFinalChecklist), and it seems that being organized should make me more productive, right? It doesn’t always seem to work that way, though, so hoping someone else would have some clever answers, I asked the world at large. I found this article from Forbes and this one from Entrepreneur, with a terrific graphic by Anna Vital to the right or the original here. This Huffington Post article had some interesting suggestions and links that will take you down the rabbit hole, which probably won’t enhance your productivity for the day, although they are entertaining reading (like this one). Use Sunday night to prepare for the week, which helps you set priorities, think longer term than just the next day, and minimizes those 3:00AM panic attacks when you worry that you’ll forget something important. Say “No.” Don’t take on more than you can comfortably handle and be realistic about your available time – including down-time! Start by doing the one big time-consuming thing first. Don’t start your day with the easy little things, or you may never get to the one big thing. Only put three things on your to-do list for the day. Get enough sleep. Your brain needs time to process data and let you maximize your creativity and you can’t do that if you are sleep deprived. Kill your TV. This NY Daily News article says we’re watching almost five hours a day! Just think what you could do with five extra hours every day (which means 136 hours a month and 1,632 a year!). Set a timer when you are working on a project to allow yourself to concentrate fully, knowing you have a finite amount of time, and then can take a mental break and respond to emails and phone calls. Track all time during the day to see where it’s going. Years ago, I worked at a CPA firm where we had to track every hour of every day by five minute increments. It was horrible but you can’t deny it provides some useful information about where the day goes. I think I’ll roll with half hour increments this round.